"America stands with the people of Maldives," The National Security Council said in a tweet. As crisis deepens in Maldives, ex-president Abdul Gayoom has been arrested. 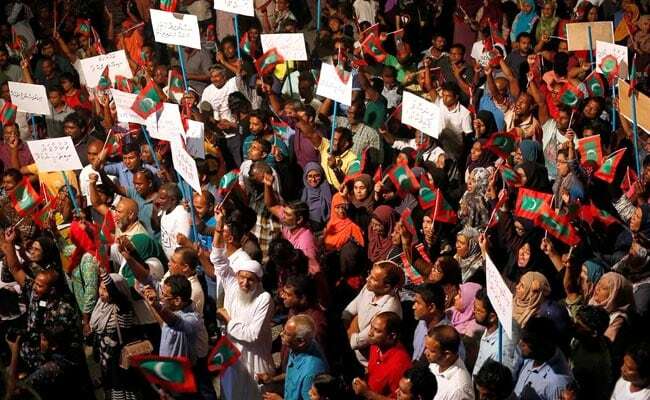 Washington, United States: The White House on Monday pressed Maldivian leaders to safeguard democracy, after a 15-day state of emergency was declared. "The Maldivian government and military must respect the rule of law, freedom of expression, and democratic institutions. The world is watching," the council continued. Maldivian President Abdulla Yameen on Monday gave sweeping powers to security forces to arrest and detain suspects amid a tense standoff between the Supreme Court and the government. The president has refused to comply with a court order to release political prisoners, despite growing international pressure and concern.